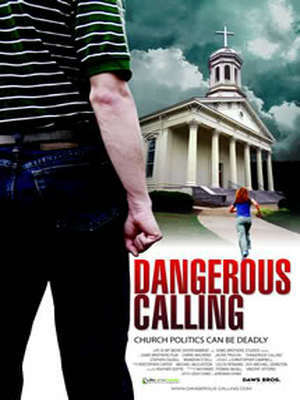 A suspense thriller set in the world of small town church politics, Dangerous Calling follows the story of Pastor Evan Burke and his wife Nora as they assume leadership of First Baptist Willit Springs after the mysterious death of the previous pastor. Eager to get to know the new pastor, Miss Pat, the church’s controlling widow-woman, invites Evan and Nora to stay with her while she has the parsonage renovated. Left alone at Miss Pat’s beautiful home in the mountains of North Georgia, Nora begins to suspect that Miss Pat’s extremely sheltered adult son, Elijah, may have had something to do with the previous pastor’s death. There’s trouble in Bumblyburg as Greta Von Gruesome, evil ruler of Zuchinia, terrorizes music fans everywhere by kidnapping the world’s greatest yodelers! 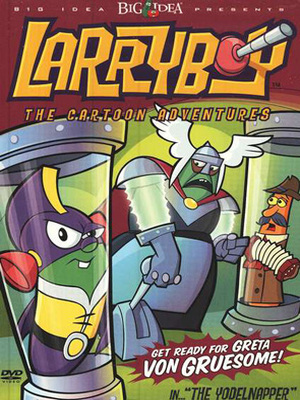 To unravel this dastardly scheme, Larryboy must disguise himself as “famous yodeler Noodle Blabberbop and bravely become Greta’s next victim. But will our plunger-headed hero’s clever plan succeed? Will the yodelers yodel freely again? It’s laugh-filled, action-packed fun that teaches kids an important lesson about greed! Includes the hilarious bonus cartoon short: A Polar Pickle.